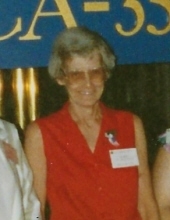 Mary Lou Knowles, nee Rockenbach, age 87, a longtime resident of Lockport, IL, passed away peacefully on Sunday, March 31, 2019 at home, surrounded by the love of her family. She was born on December 23, 1931 in Plainfield, IL. Mary is survived by her loving daughters, Debbie (Jerry) Tomlinson, Gladys (aka Lise), Becky (David) Wilke, and Shirley (Rick) Quigley; her cherished grandchildren, Raymond (Nikki) Busbey, Liz (Stevie) Hester, Austin Quigley, Justine (Valintie) Kidwell, Michele Quigley, Devan Keeling, and 12 great grandchildren Niki, Autumn, Amayah, Joey, Rylee, Camden, Payton, Dustin, Aiden, Brion, Corbin, Koryn; her 3 dear sisters, Joyce Cormany, Marge Rockenbach, and Carol Knotts; as well as numerous nieces and nephews. She was preceded in death by her parents, William and Gladys Rockenbach; her siblings; Rocky (William), Eva Mae, and Hattie Ann. For those who would like to leave a lasting tribute to Mary’s life, memorial donations may be made to Joliet Area Community Hospice, 250 Water Stone Circle, Joliet, IL 60431. Visitation will be Friday, April 5, 9:00 until 11:00 AM at the Overman-Jones Funeral Home & Cremation Services, corner of Routes 30 & 59, Plainfield. Funeral Services will follow at 11:00 PM. Interment will be private. To send flowers or a remembrance gift to the family of Mary Lou Knowles, please visit our Tribute Store. "Email Address" would like to share the life celebration of Mary Lou Knowles. Click on the "link" to go to share a favorite memory or leave a condolence message for the family.